Pros: Noteflight for Teachers helps teachers and students safely share assignments, musical concept examples, and opinions. Cons: The extensive options can be confusing at first for novices; student comments offer key feedback, but with no language filter, could get out of hand. 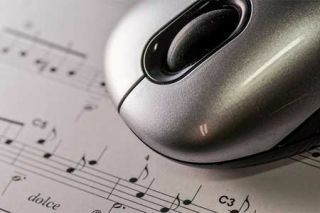 Bottom Line: This useful, well-constructed music composition tool lets classrooms collaborate and comment on student-created songs.